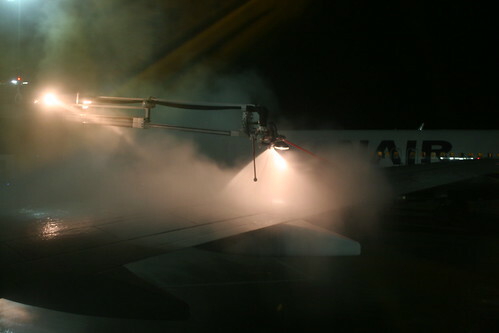 Defrosting the plane, originally uploaded by Bednarski Media. Flying during the winter can be dangerous... Frozen wings before departure... and a special machine defrosting the plane in Frankfurt am Main, Germany.